Just when we thought that The 1975 couldn't get any better, they went ahead and outdid themselves yet again. In their third and newest album, A Brief Inquiry Into Online Relationships, the UK-born band explores life and love in the internet age. Already being compared to iconic albums such as Radiohead's Ok Computer, The 1975's A Brief Inquiry is a genre-transcending masterpiece with a heartbreakingly raw and emotional core, which reads like a love letter to the youth of today. In a social and political climate where everything feels upside-down and almost impossible to change, A Brief Inquiry comes as a breath of fresh air. 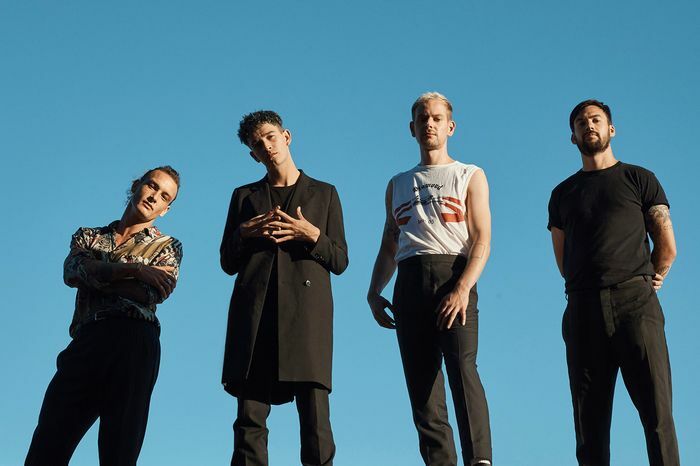 Speaking to the fears, desires, and insecurities of a generation faced with the pressures of building a better world while finding a sense of identity within the non-stop machine that is the internet, The 1975's new album seems to grab young audiences by the hand and say, "We're in this together". As cliché as this may sound, the sense of solidarity and empathy portrayed by the album and by the band is deeply reassuring. With online relationships being a major topic explored on the album, the wild and sometimes polarizing nature of the internet is explored on various tracks. Despite the powerful lyrics and messages portrayed through each song, frontman Matty Healy clarifies that the album is a mere exploration of things that have become so normal to modern life; saying, “I don’t have any answers, but I’ve got a lot of questions”. Surely, those of us listening feel the same way, which is what makes listening to this album so spectacular. It challenges us to ask the questions that may not have hard answers, all while assuring us that we are not alone in our quest for meaning. 1. "Love It If We Made It"
Watch Matty Healy breakdown the lyrics here. 3. "I Like America & America Likes Me"
5. "I Always Wanna Die (Sometimes)"
Check out another lyric breakdown here. Liberal Arts student obsessed with books, music, movies and all things creative. American, Japanese, and an honorary Canadian.